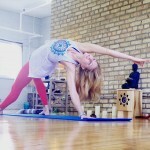 Meet out latest Yoga For All Beings Teacher Feature, Kim Manning! Learn a few fun facts about Kim in her own words below. Manatees are my absolute favorite animal because they are so calm, gentle and kind. I’ve adopted three! In high school and college I wanted to pursue a career in music journalism or radio broadcasting, interning at music magazines and radio stations. When I realized I didn’t like to write objectively about new music, I decided discovering and collecting music would just be a personal hobby. My favorite artists today include Murder by Death, Incubus, LCD Soundsystem and Run the Jewels. Last year was the first time I had ever been to a national park (Olympic National Park– which is soo beautiful! ), and it’s now my ultimate goal to visit every national park in the country. I am addicted to coffee. Beyond the caffeine, I just LOVE the taste and I love trying new blends. My current Chicago favorite is Dark Matter. Like most, Kim came to yoga for its physical benefits. Having tried a few asanas at home as recommended by a friend, she felt soreness in muscles she didn’t know existed. 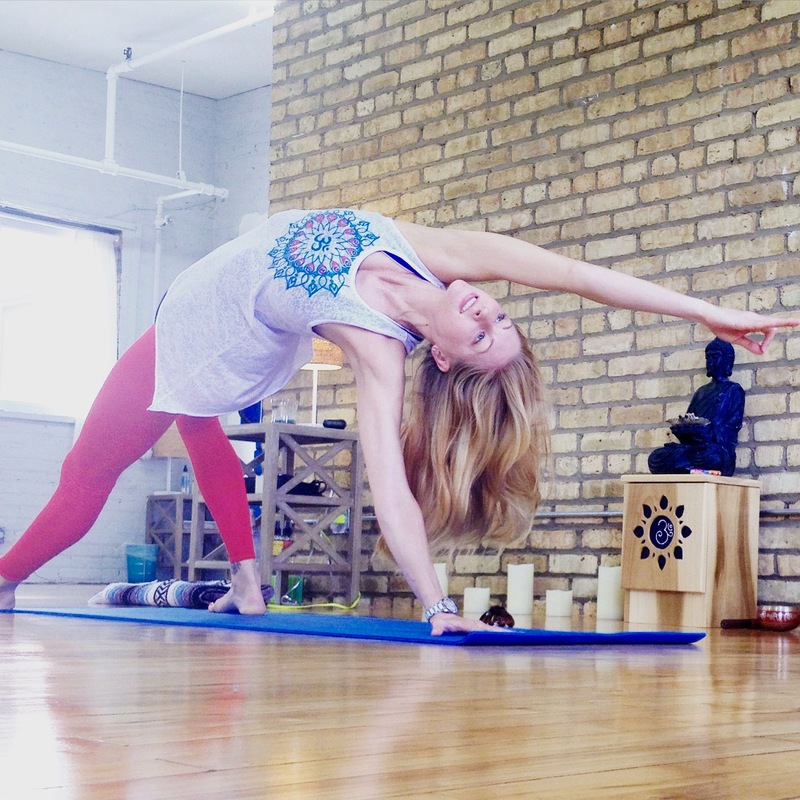 During her senior year of college at Columbia in Chicago, she took an Intro to Yoga course and fell madly in love with the depth of the practice. On a whim after leaving an exhausting job, she began her 200-hour teacher training and never looked back. While the physical benefits are still a major component of what keeps her coming to her mat, the chance to connect, unwind and constantly learn are just as motivating. Kim aims to keep her classes light-hearted, challenging and relaxing. She hopes to help her students build confidence while building muscle, sweat a little bit and leave classes feeling refreshed and well-connected. 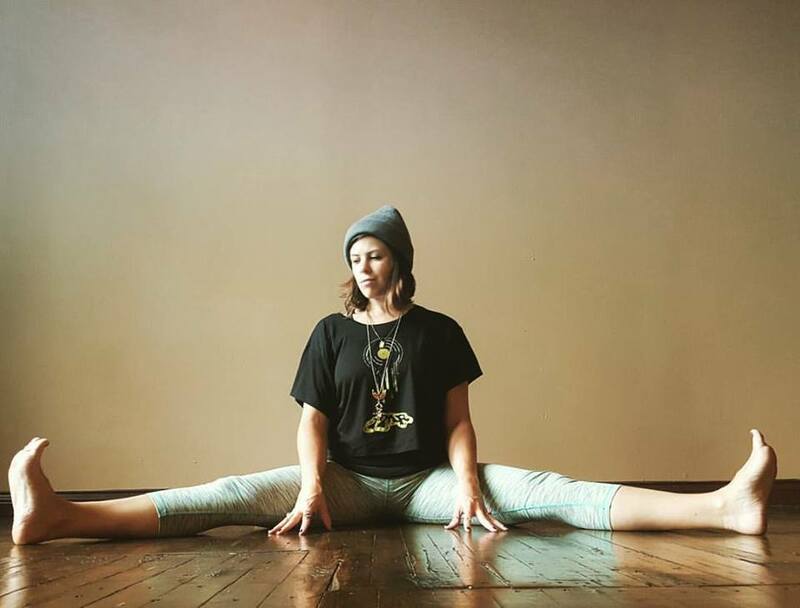 From Yoga Chicago Magazine’s Five Questions for Fantastic Yoga Teachers, read on about Danielle Dickinson, owner of Yoga For All Beings in Chicago, IL. 1. Describe your teaching style in five words. Strong. Gentle. Thoughtful. Permissive. Balanced. 2. How has yoga changed your life?Yoga saved my life. It has offered me a way to change my negative patterns and live a healthier and happier life. 3. What is the philosophy you try to instill in your students? I try to encourage students to be gentle with themselves. I encourage them to accept the challenges of yoga and of life head on, with a sense of ease and with a strong but gentle approach. When we can maintain peace in the most chaotic moments, that’s when the yoga practice really comes in handy. 4. What was one of your most profound moments in teaching? Unscrunched faces. Unclenched jaws. Relaxed shoulders. Unclutched guts. Unsqueezed fists. 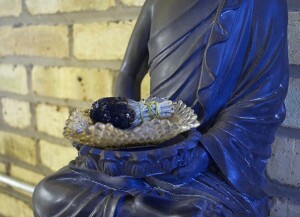 Seeing students let go, release or be gentle with themselves. It’s so easy to be hard or to stay hardened. It’s a lot more difficult to maintain softness in hard circumstances or to easy up when life is gripping tight. This sense of softness is something I find profound and inspiring, especially when I see if from a student that is fighting hard to maintain that sense of ease. 5. What do you see influencing or affecting yoga teachers and students in the next five years? It seems like the veil is being lifted from the confusion surrounding what yoga is or isn’t. The wider the practice spreads and the more attainable it becomes, the less we have of the notions that yoga is something reserved for a limited demographic. Yoga is becoming more down to earth, relatable, adaptable, and accessible to all kinds of folks, due in part to the educated and mindful yoga teachers. More accessible yoga means more yoga, in general. And more yoga, to me, means more peace in the world. 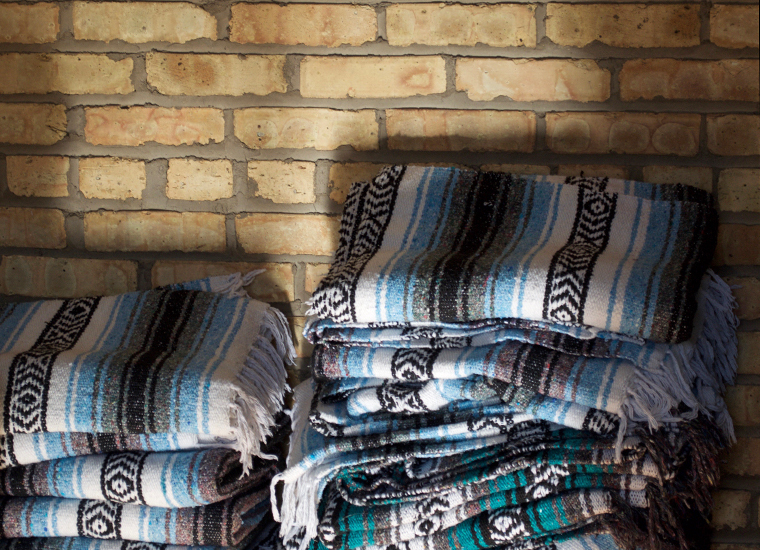 On the third floor of an unassuming building in West Town, you’ll suddenly find yourself in a place full of natural light, exposed brick walls, soothing herbal tea, and yoga mats. Yoga For All Beings is an independent yoga studio that welcomes students at any point in their yoga journey to take a class, have some tea, and maybe find a little enlightenment. Owner Danielle Dickinson shared a little more about it with us. 1. What’s your favorite thing about owning your own studio? Helping others is the best part about owning my own yoga studio. The benefits someone might reap from the yoga practice are endless, and I continue to be amazed by the progress I see in students with dedicated practice over time. I’ve seen students get stronger and do things they didn’t think they could. I’ve also seen students be humbled by things they thought were easy, but turned out to be quite hard. I’ve seen students break down (emotional release is so brave and healthy), and I’ve also seen students break through… stereotypes, old habits, and negative mindsets. I’ve seen students heal their bodies with careful and attentive practice, and I’ve seen students mend broken hearts with the self-love and compassion that yoga begs of us. I’ve had students literally tell me that my yoga studio (but really it’s just the yoga!) has saved their life. Each time a student shares their heart-felt gratitude for the practice and what it’s done for them, I am encouraged to continue the challenging path of being a yoga studio owner in the city of Chicago… because I know that this business is doing so much good for the people. 2. How did it feel the first time you did a handstand? Really scary! I’ve always loved the feeling of going upside down, and so the idea of being inverted was not an intimidating one. But getting my body up into handstand gracefully and staying there for more than a half second definitely took some time. The scary part came when I stopped practicing at the wall (not so scary when you have some sturdy dry wall behind you) and started practicing it in the middle of the room (no inanimate object to catch you if you fall out). But the first time I did a handstand in the middle of the room, even though it was probably only for a split second, felt really exhilarating. More importantly and even more satisfying than finally making progress in a difficult pose is when I’m able to do a challenging pose, like handstand, while still maintaining a calm mindset, a steady breath, and an ego that remains in check. Because ultimately, yoga, for me, is not about the physical feats but about the mental peace. 3. Share an unexpected way in which yoga has changed your life. The first time I connected with yoga on a deeper level was in 2005. Dealing with depression and anger for the majority of my life, I found myself in a downward spiral of darkness and yoga found me at the bottom of this lonely hole. Over the years, yoga has shed light on how I can live my life to keep myself out of this darkness. Initially, yoga was all about getting me to that peaceful state. I went to yoga to feel better mentally, but to my surprise, it also made me feel better physically. Any time my mental state is a mess, it will inevitably show up in my body as some sort of pain or tension. So, practicing yoga not only got my mind right but made my body feel better as well. The community aspect of yoga was also a highlight for me. Even though yoga is a very private, personal and individual practice, doing it in a community setting is so powerful and inspiring. In yoga, it’s all about positive vibes and letting go of anything that doesn’t serve us. Although we show up to our mats for different reasons, we are also there for the same collective reason: to feel better. Just being in a room full of yogis gets the positive energy swirling. For me, yoga is like going to therapy, church, and the gym all in one. And, the way I see it, yoga saved my life. 4. What’s the one thing you want students to take away from class? There are so many different reasons one might practice yoga: stress release, flexibility, strength, mental clarity, physical injury, addiction, depression, anxiety, chronic pain, grief, and trauma. And so, when I look around the room in class, I’m aware that there are not only a variety of unique bodies in the room (with their own capabilities, limitations and needs) but there are also a variety of intentions in the room as each person brings their own special purpose to the practice. So, while there is so much one could derive from the yoga practice, ultimately I want students to take away exactly what they needed from the practice that day. 5. Smoothies? French fries? What keeps you fueled for yoga? When it comes to food, I don’t like to discriminate and I’m not too picky. I love smoothies and I love French fries! But as far as being optimally fueled for yoga goes, my best bet (for energy and feeling good) is usually whole, organic foods. Keep up with all things Localvore in Chicago on The Daily Beet.